The original roast master is back. Same sick burns, same smouldering attitude, now all scaled up in stunning HD. Spyro is bringing the heat like never before in the Spyro Reignited Trilogy game collection. Rekindle the fire with the original three games, Spyro the Dragon, Spyro 2: Ripto’s Rage! and Spyro: Year of the Dragon. Explore the expansive realms, re-encounter the fiery personalities and relive the adventure in fully remastered glory. Because when there’s a realm that needs saving, there’s only one dragon to call. Being mostly a Nintendo player back in the day, I missed out on the PlayStation platformers like Crash Bandicoot and Spyro, which having played the remastered trilogy for Crash Bandicoot to 100% completion, I regretted missing out on originally. 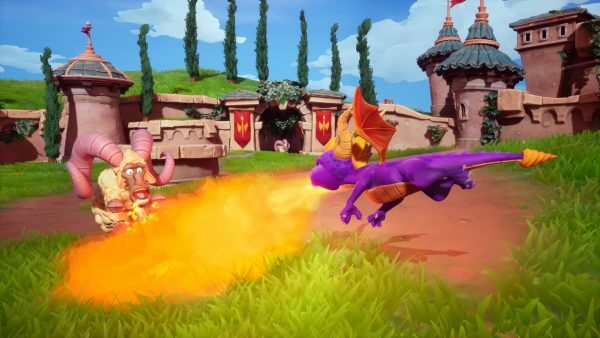 Of course, the interest for a Spyro remake has been high ever since the Crash trilogy launched, so it was a no-brainer for Toys for Bob to try their hand remaking the classic games. Despite a bit of backlash over the lack of subtitles during cutscenes (which Crash also lacked, but no-one seemed to raise at the time), the remakes are stunning and a great collection of remakes, which are true to the original games. Luckily for me, I’m engaged to someone who played and loved the original games, it was pure nostalgia for her and proof for me that Toys for Bob has nailed the remakes. The gameplay remains exactly the same as it did back in the day as you rescue dragons, collect orbs and gems (lots of gems) with plenty of enemies, bosses and objectives to get in your way. They aren’t the toughest of games by any stretch, but they do have some tricky moments like the fight in Spyro 2 against Gulp, which is designed by the devil himself. Other than that, the games shouldn’t cause too many problems in terms of difficulty, at least not anywhere near the same scale as the Crash Trilogy. 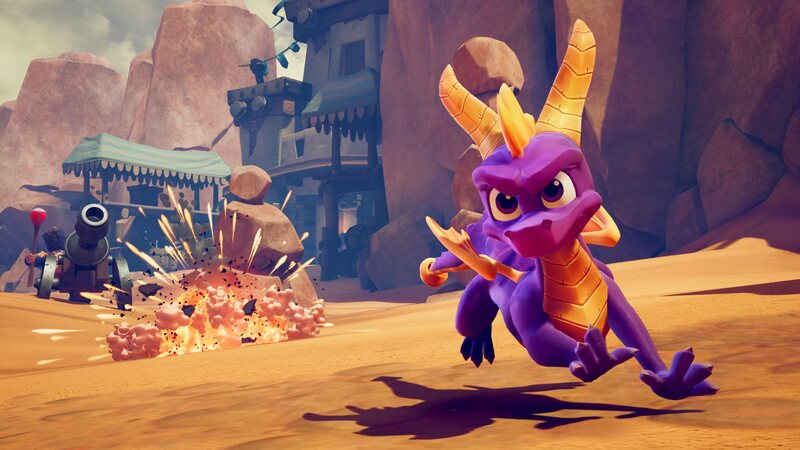 The remakes look amazing in 4K with HDR and they’ve done a superb job in bringing Spyro to life with the new engine. Voice-acting and the soundtrack remains true to the original.